Japan’s Yoshinori Ohsumi won the 2016 Nobel prize for medicine for ground-breaking experiments with yeast which exposed a key mechanism in the body’s defences where cells degrade and recycle their components. Understanding the science behind the process, called “autophagy” or “self-eating”, has led to a better understanding of diseases such as cancer, Parkinson’s and type 2 diabetes, the prize committee said in its statement on Monday. 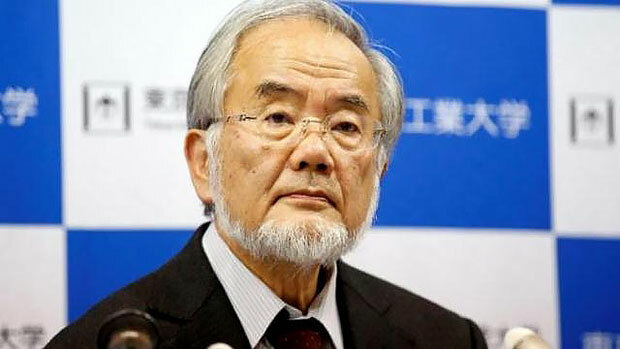 Ohsumi’s work – carried out in the 1990s and described by commentators as “paradigm-shifting” and “pioneering” – included locating the genes that regulate autophagy. This is important for medicine because it helps show why errors in these genes can contribute to a range of diseases. The Physiology or Medicine prize, the first of the Nobel prizes awarded each year, is worth 8 million Swedish crowns (US$933,000)./.